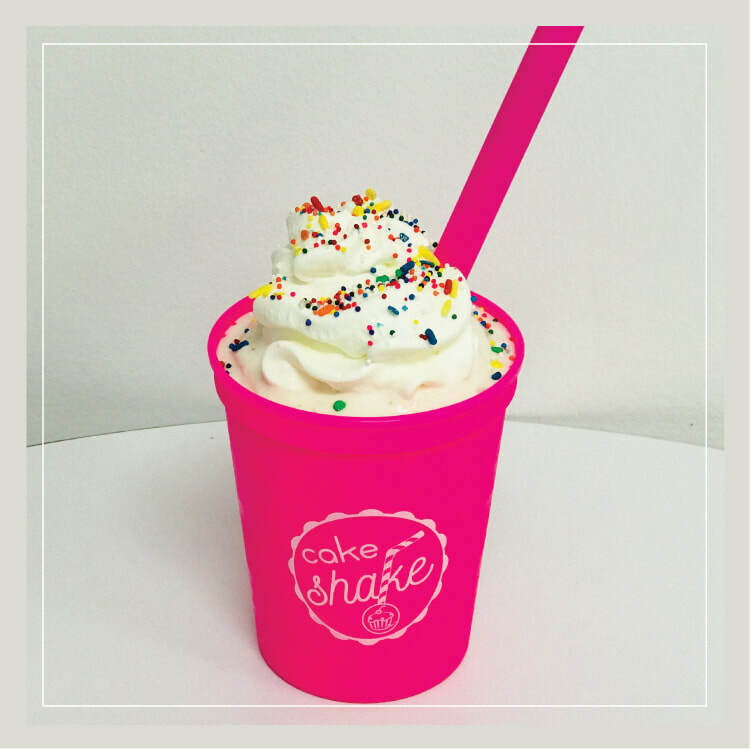 Home of the original Cake Shake. Life in South Carolina is sweet, and so is our way of cooling you off from the South Carolina sun! 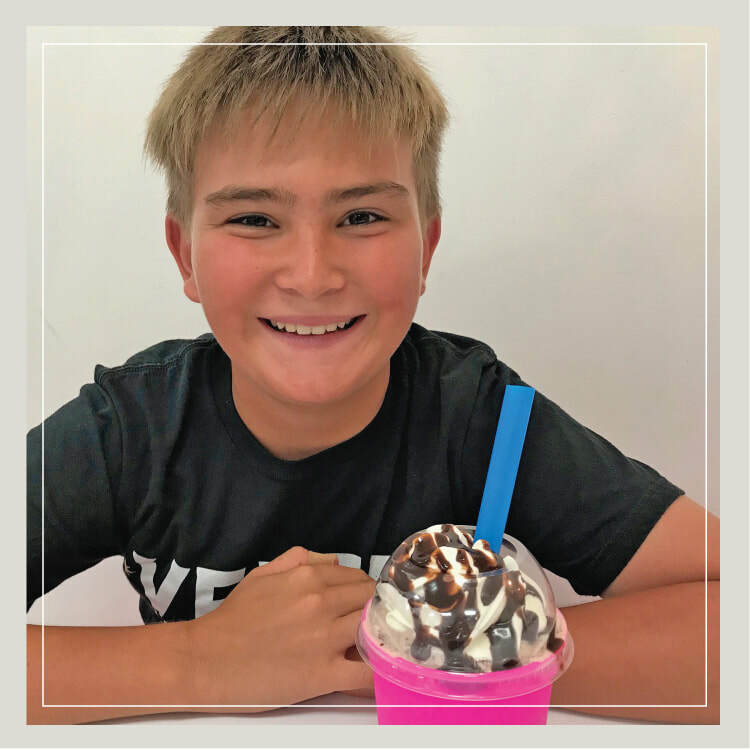 ​It's as easy as it is enticing: choose your cupcake flavor from among the dozen or so we offer each day, and then watch us blend your cupcake with deliciously cold soft serve vanilla ice cream and crown it with a big swirl of fresh whipped cream and toppings. 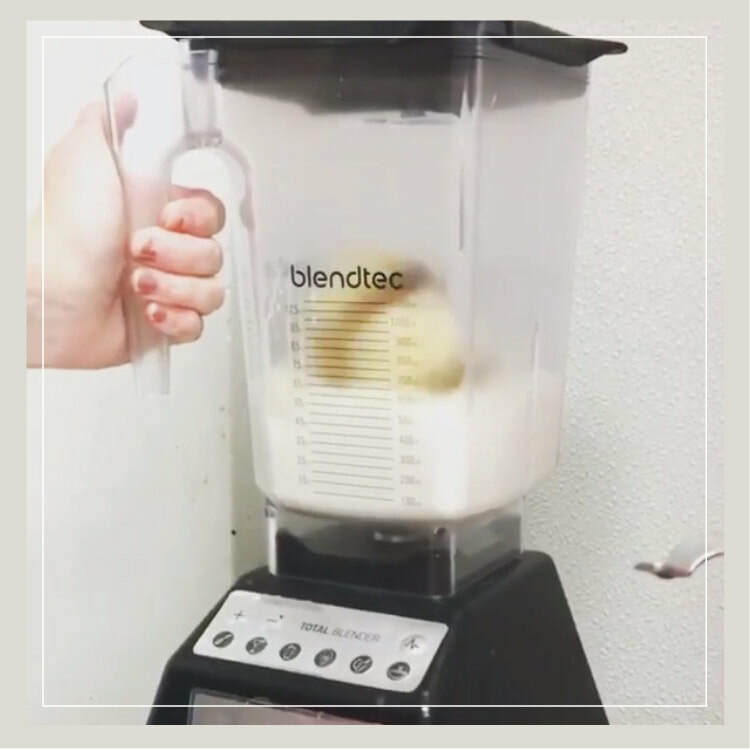 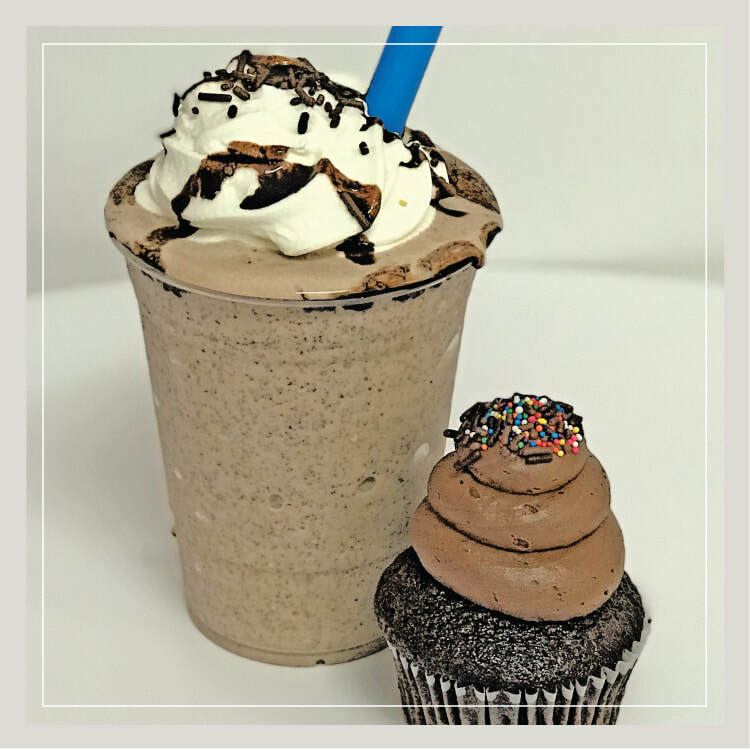 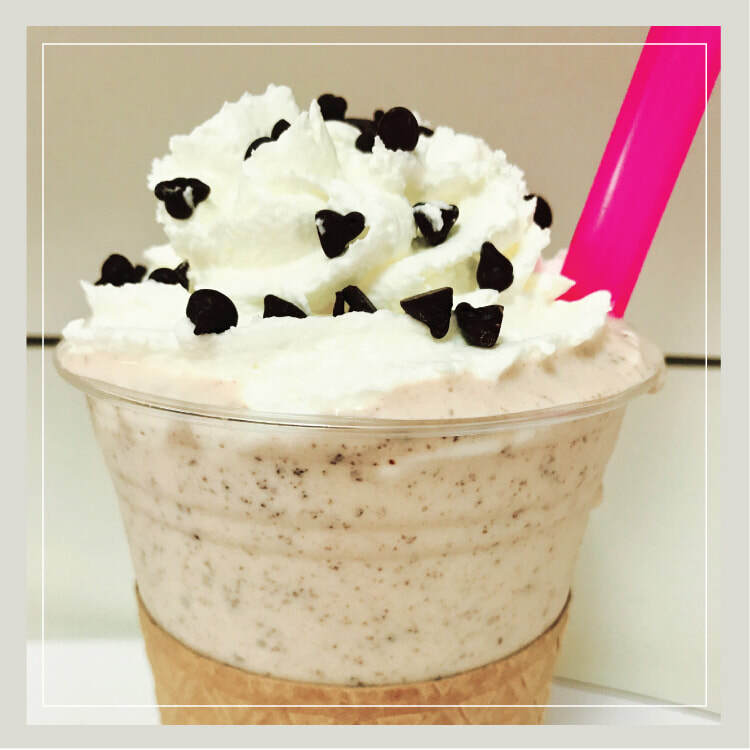 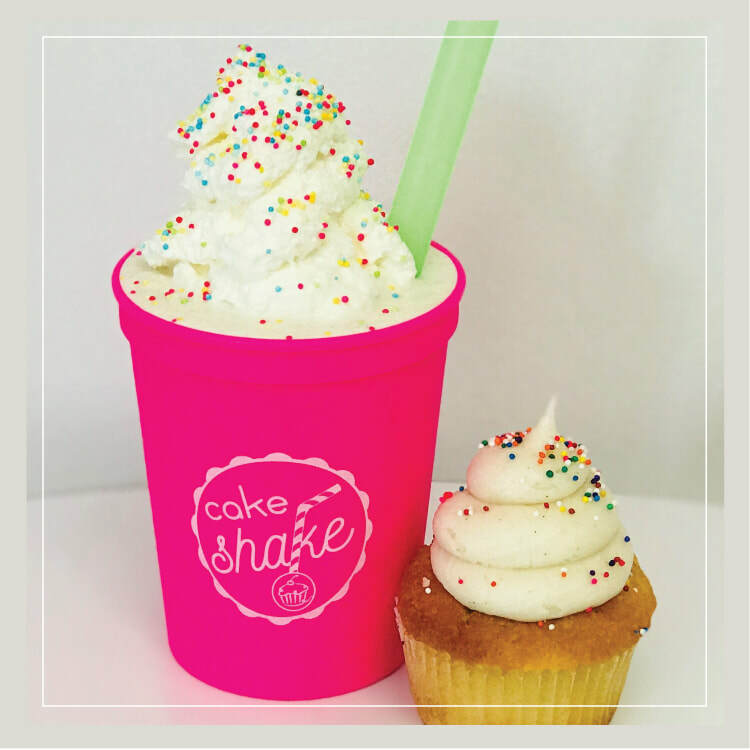 (Choose our gluten free flavor of the day for a gluten free Cake Shake!) 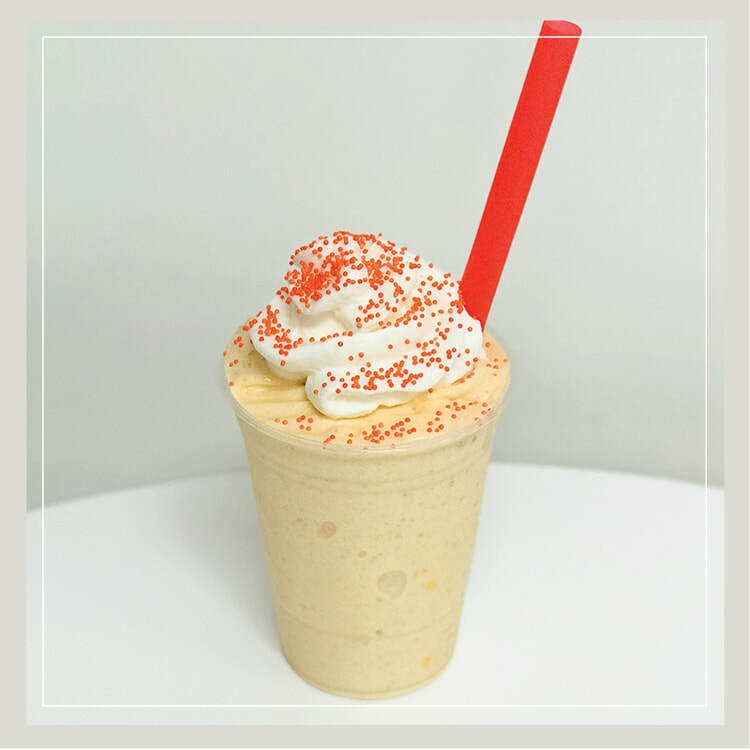 Savor it with a spoon or sip it through a straw; it's your delicious decision! 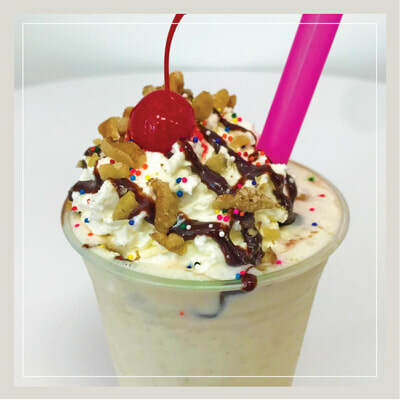 ​You've never had a milkshake like this. 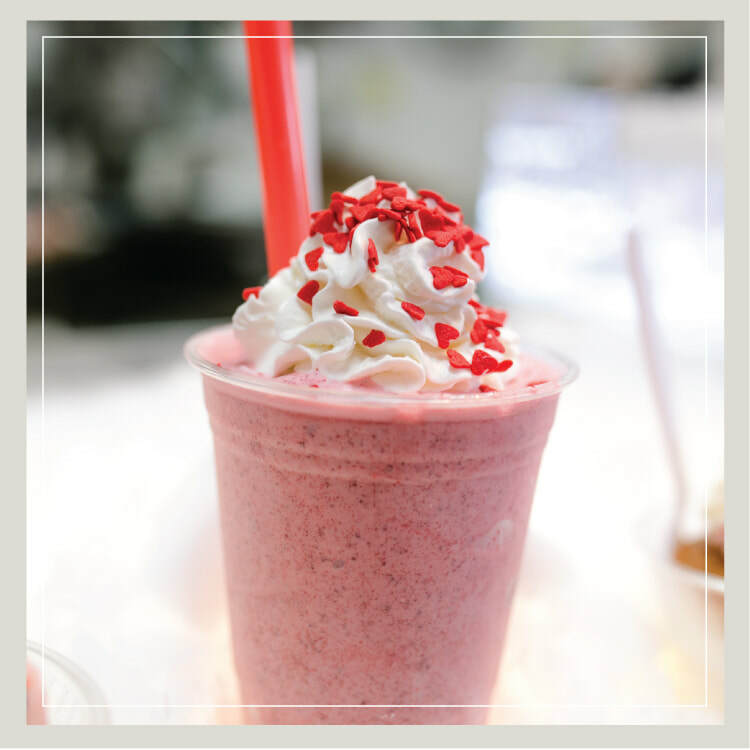 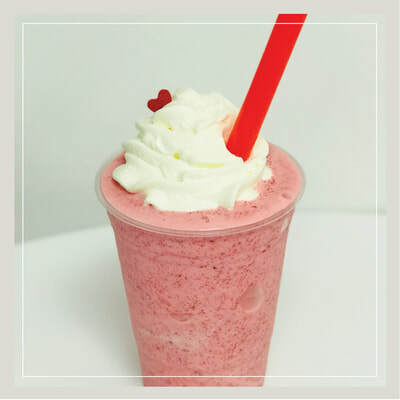 April's Cake Shake of the Month is Strawberry Shortcake! 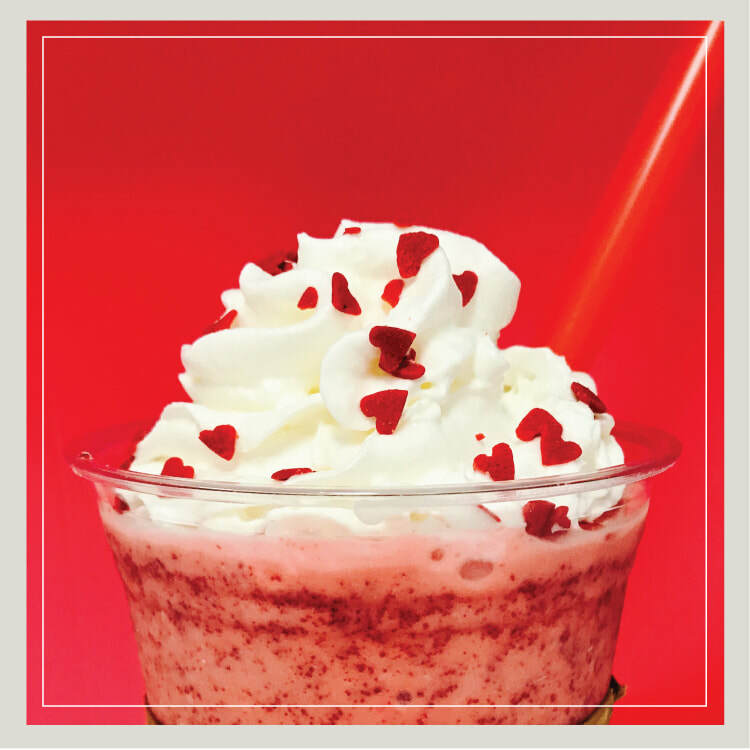 Enjoy one any day of this month for $1 off. 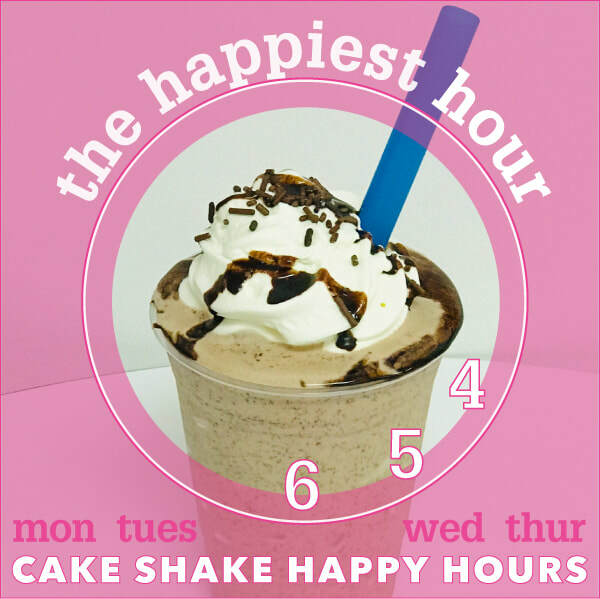 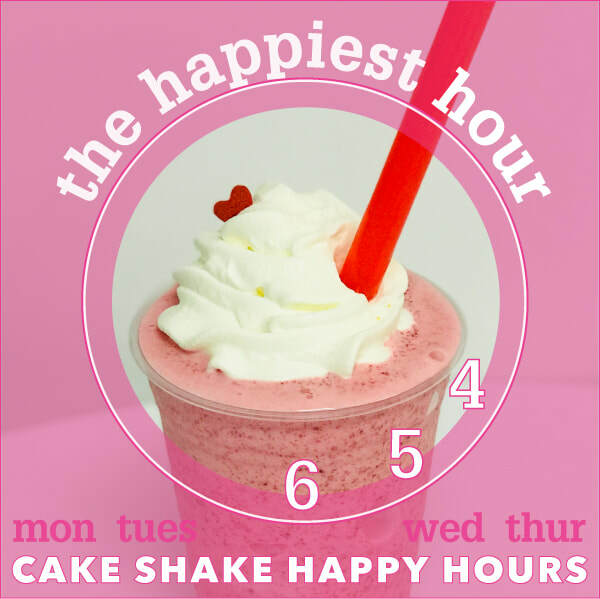 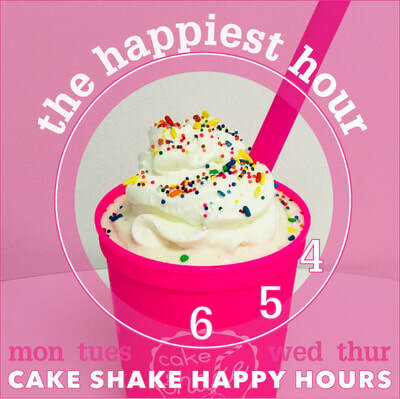 Plus, swing by for our Cake Shake Happy Hours! 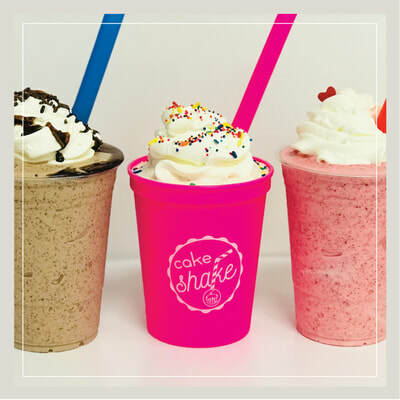 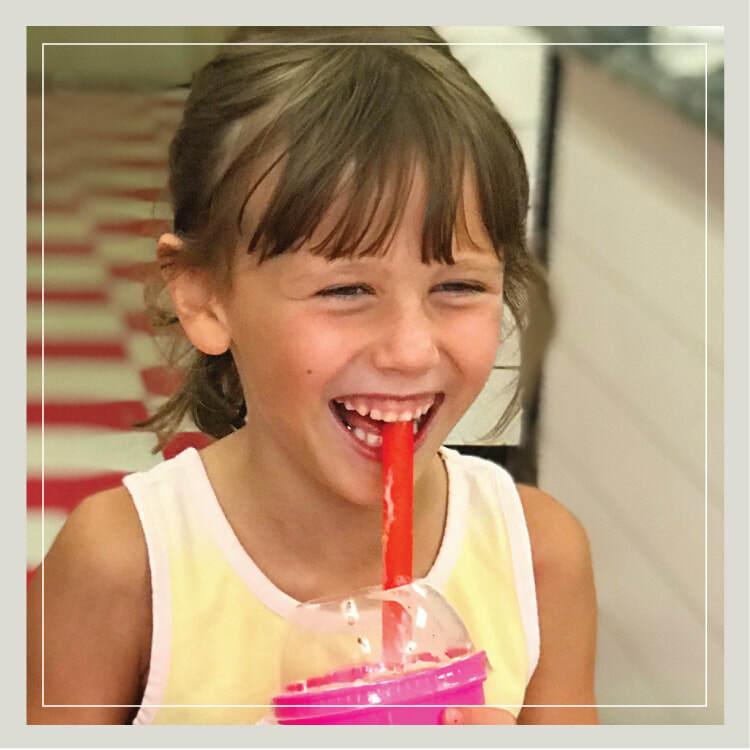 Enjoy any regular Cake Shake for just $4 or a gluten free or After Dark Cake Shake for $5 from 4 to 6 PM Monday, Tuesday, Wednesday, and Thursday at any one of our locations. We guarantee your day will turn brighter as you savor the first spoonful of a delicious, creamy, swoon-worthy Cake Shake! 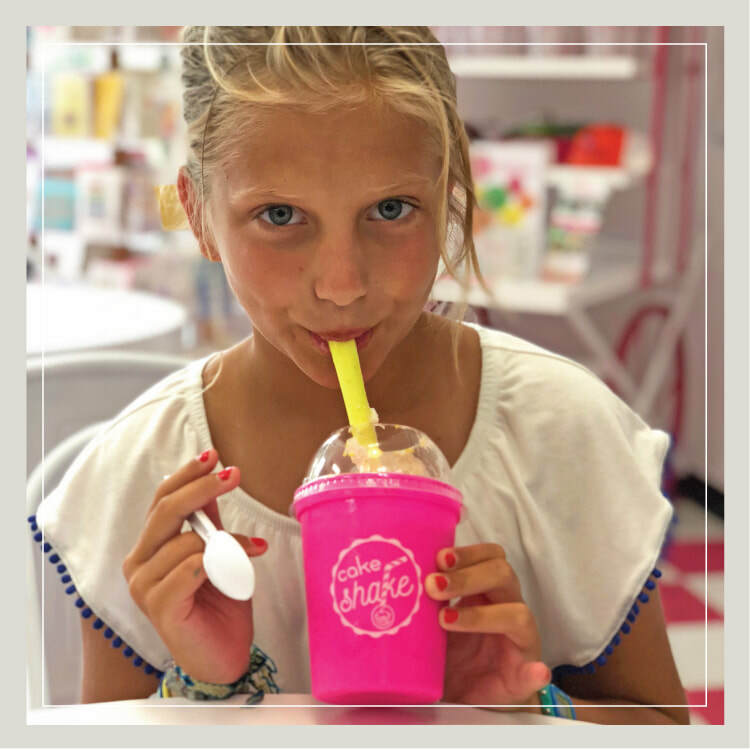 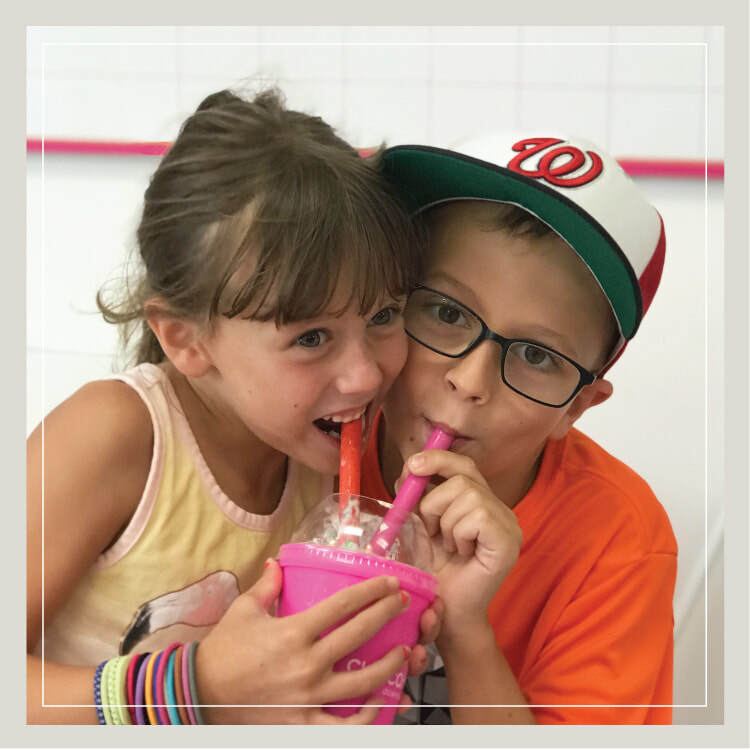 SWEET :: Cake Shakes bring kids together! 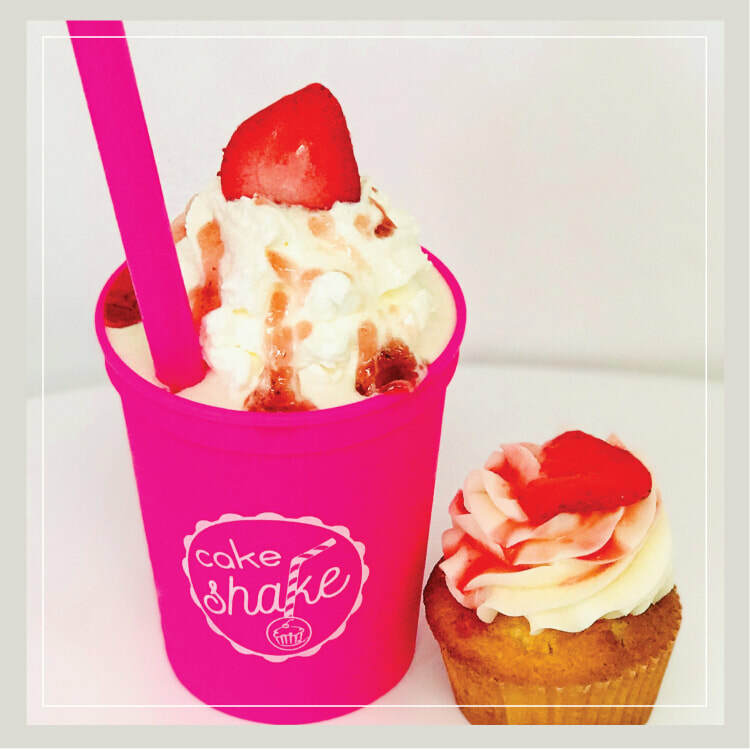 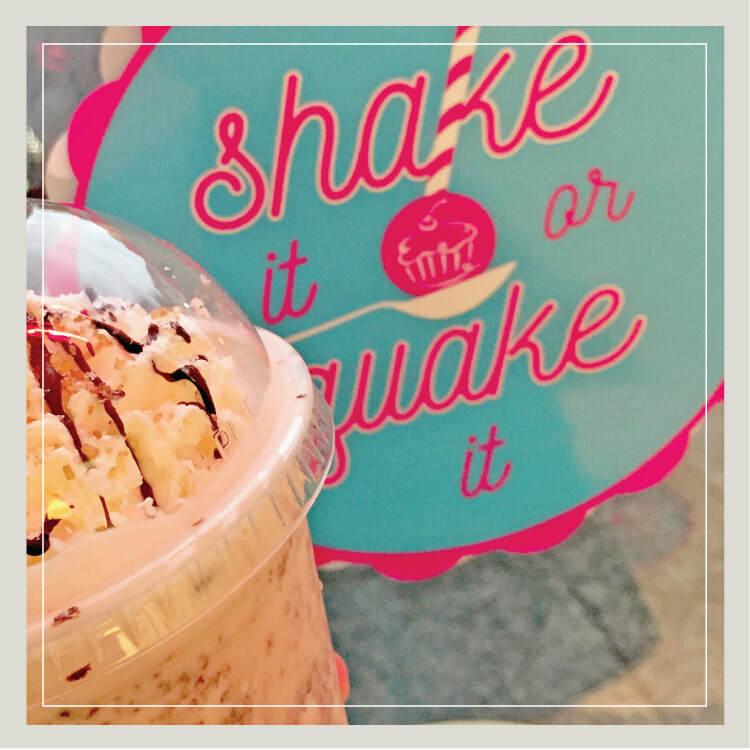 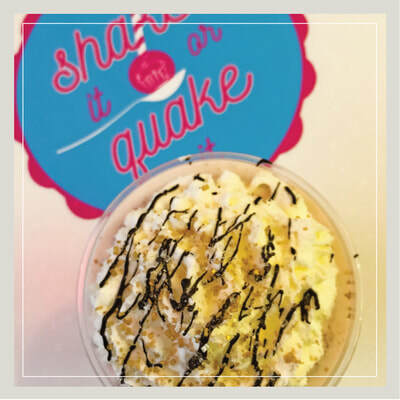 SWEET :: Get ready to dive into a delicious Cake Shake!